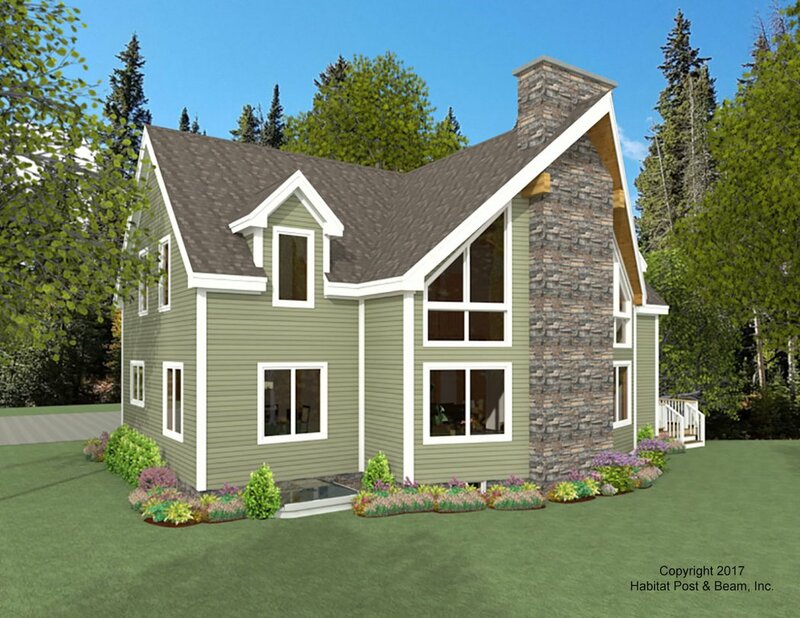 Another in our popular Prow series (http://www.postandbeam.com/plans/filtered?type=houses&houseDesignGroup=prowHomes&keywordSearch=), this custom Alpine will be built in rural northern Pennsylvania, and is designed to offer complete one-level living if necessary. The main level of about 1470 sq. ft. has a Beamed Roof System over the cathedral center section Prow living room (http://www.postandbeam.com/roof-framing-system). To the rear of the center section is the entry area foyer with a pantry, half-bath, and laundry room flanking the entry hall. A mud room between an entry porch and screen porch leads out to the two-car garage (not included) beyond. 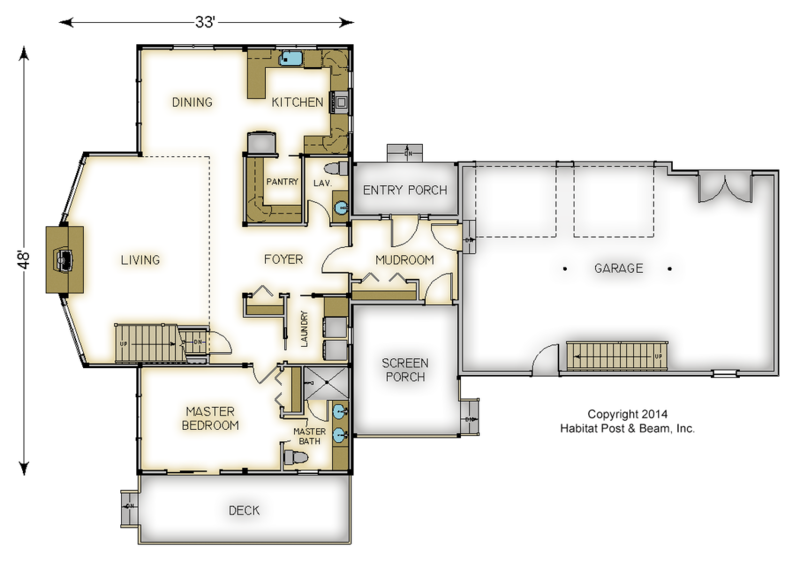 The left side of the main level is the kitchen and dining area, and a master bedroom suite is to the right. Both main level wings and the rear center section are under a Plaster and Beam Mid-Floor System (http://www.postandbeam.com/floor-framing-system). Upstairs is about 1286 sq. 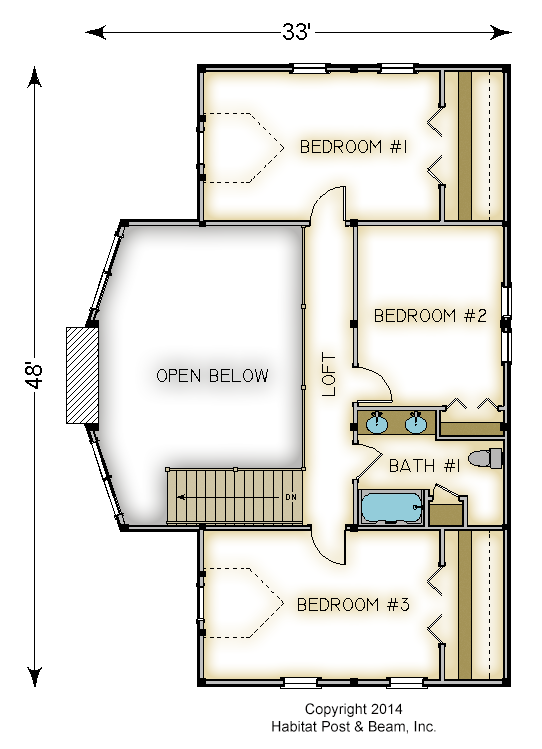 ft., and has two additional bedrooms on each end, a sitting area/loft that looks down onto the living area below, a full-bath, and a third bedroom toward the back. The basement level is currently designed for storage and utilities. 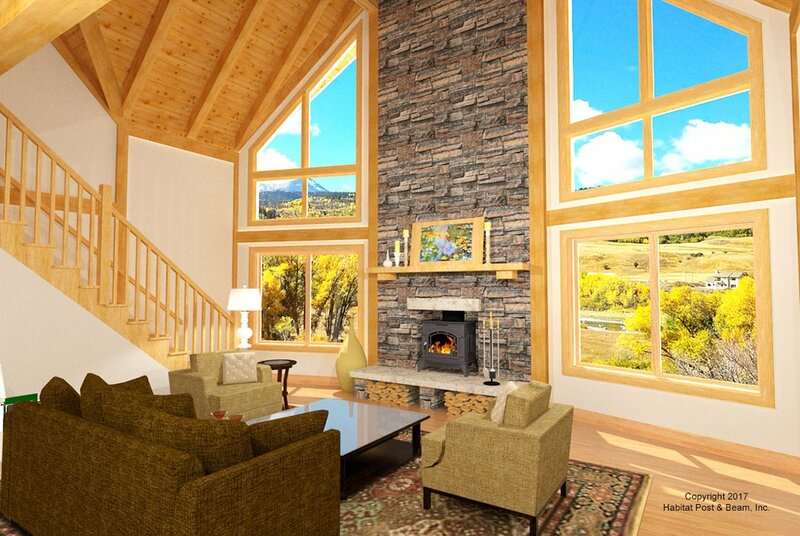 Package Price: $198,000 as specified below (from $172,500 to $222,500 depending on framing options). The standard price includes our Beamed Wall System, Plaster and Beam or Beamed Mid-Floor System (same package price), our Beamed Roof System over the center section, and our Plaster and Accent Beam Roof System over the wings. The garage, connector and porches are not included in the above pricing.